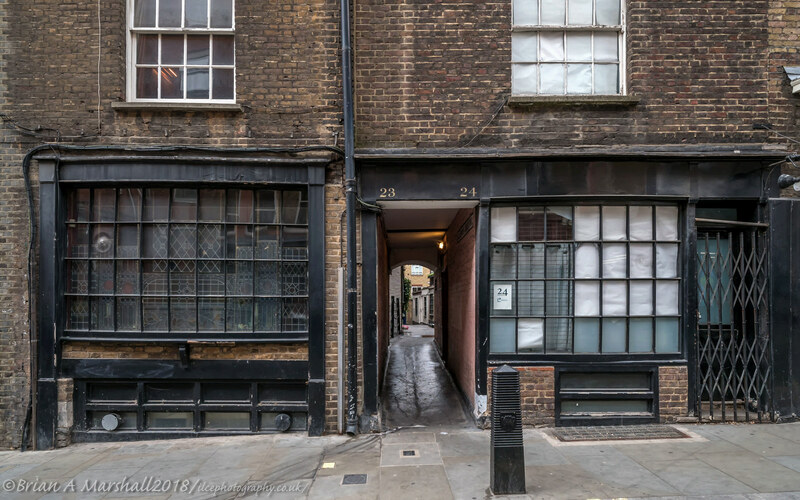 23&24 Bedfordbury, Covent Garden, are Grade II listed terrace houses with bow-front shop windows with an entrance passage between them leading to Godwin’s Court which has pedestrian access through to St Martin’s Lane. 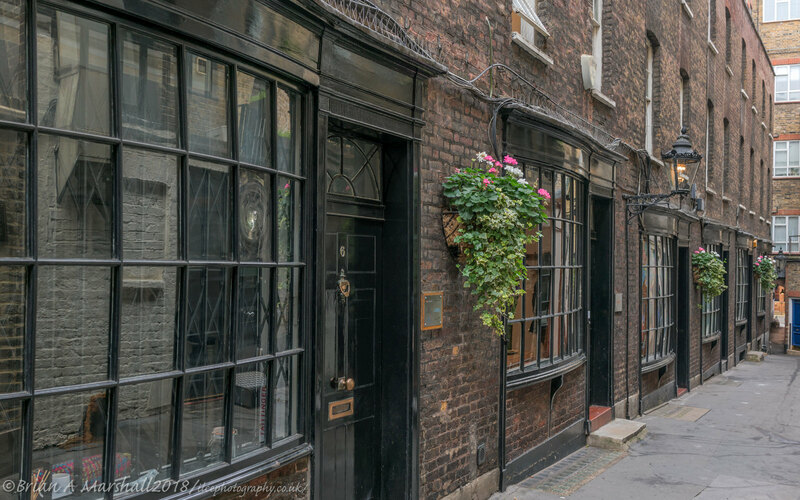 Godwin’s Court has a row of bow-fronted cottages down one side and it’s said that Nell Gwynn used to live in one of the cottages. 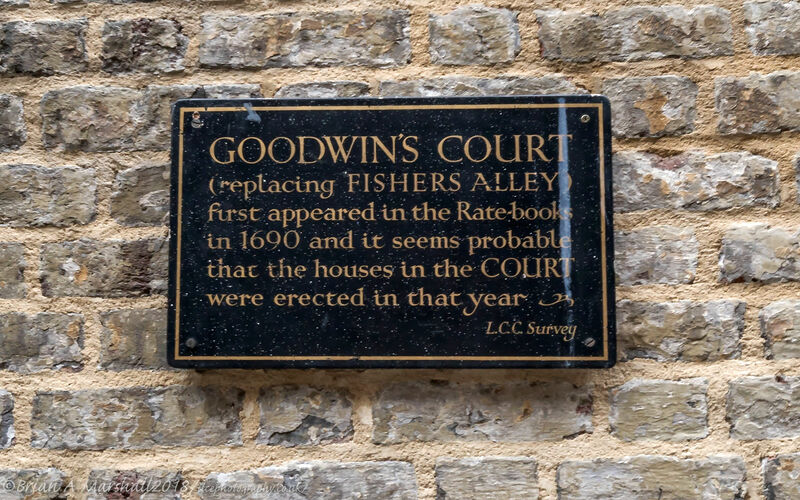 Nell Gwynn died in 1687 and Godwin’s Court dates from around 1690 but it’s possible that she lived in Fishers Alley, as it was known then, before it was redeveloped into Godwin’s Court. 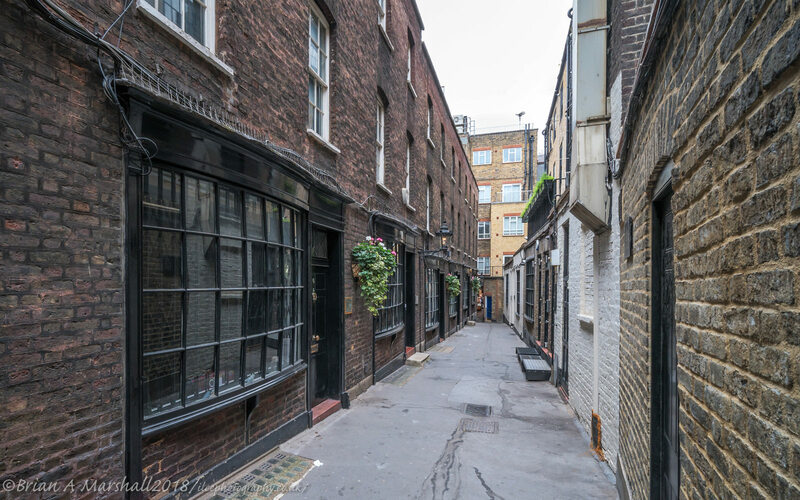 It’s also claimed that Godwin’s Court was going to be used as Diagon Alley in the Harry Potter films but it was to narrow and restrictive for the crew and equipment but the basic bow-fronted shape of the properties were the template for Diagon Alley that was build in the studio. 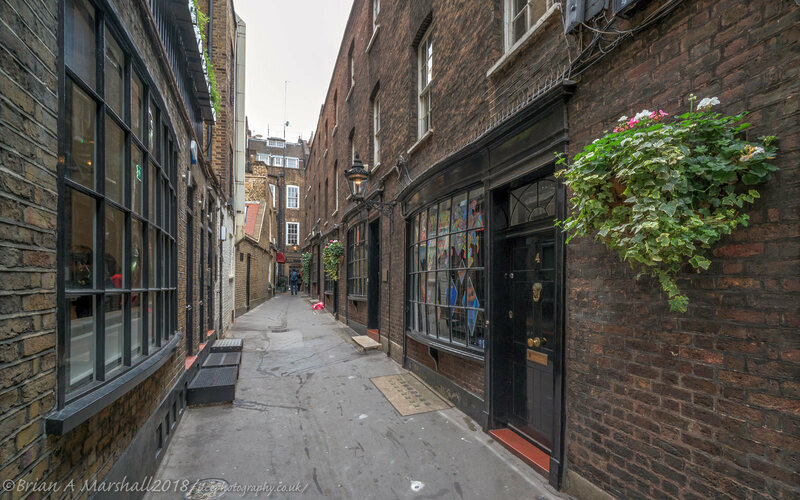 BUT it’s also claimed that Cecil Court, on the other side of St Martin’s Lane, was the template for Diagon Alley. Godwin’s Court from Bedfordbury looking towards St Martin’s Lane. 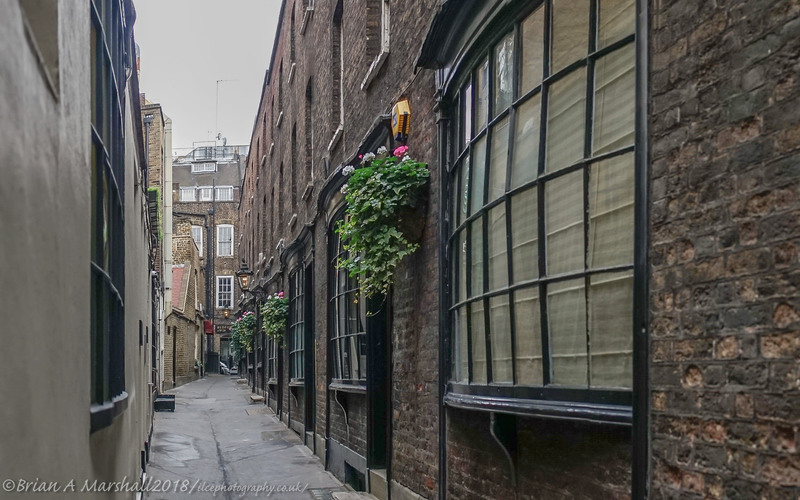 Godwin’s Court from St Martin’s lane looking towards 23&24 Bedfordbury. 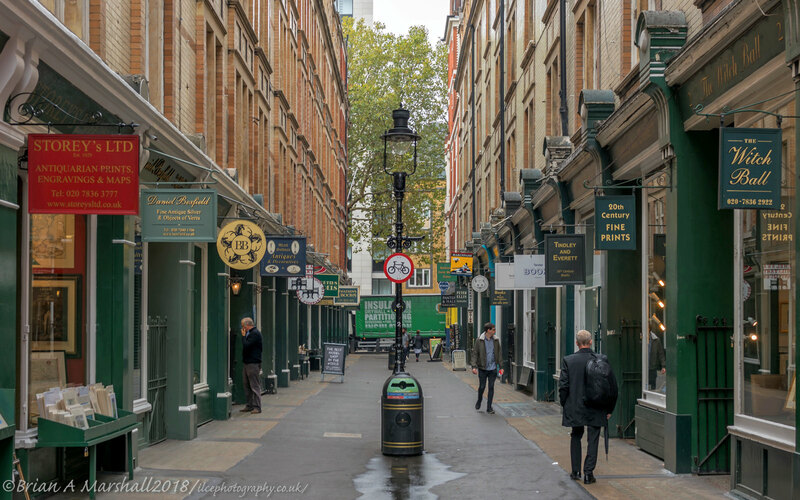 Cecil Court from Charing Cross Road looking towards St Martins Lane. 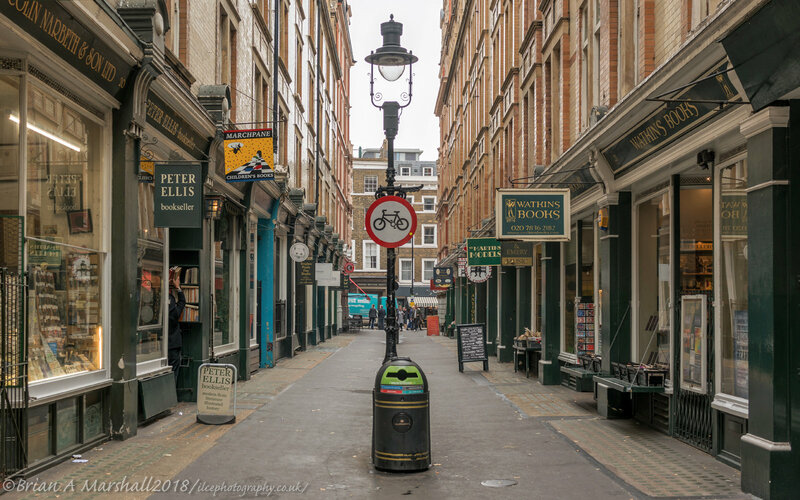 Cecil Court from St Martin’s Lane looking towards Charing Cross Road. Sony a6500 APS-C Camera + Laowa 9mm f/2.8 Zero-D Ultra-Wide Angle Lens + Sony RX1R II.